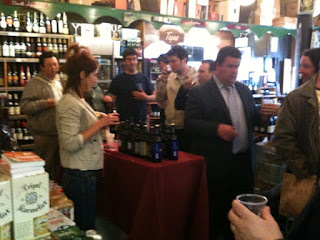 We had a great turn-out for the May tasting on Thursday 27th. 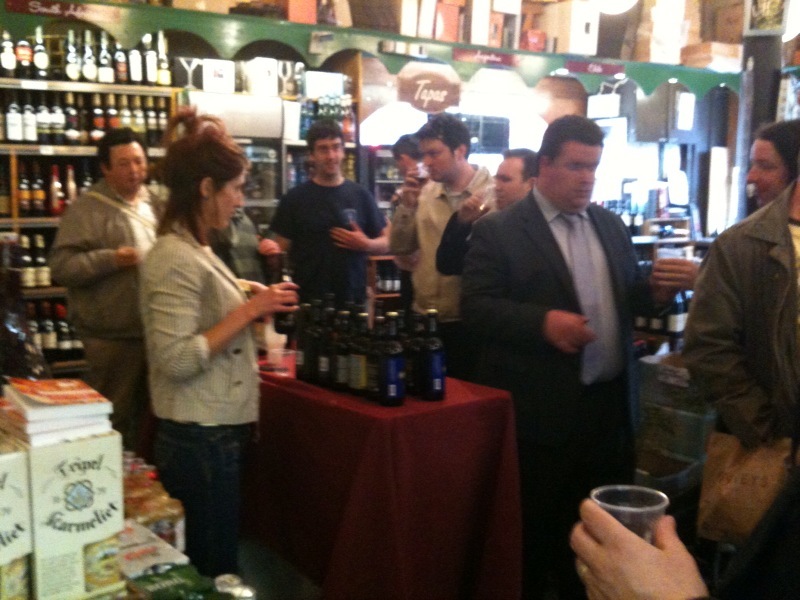 Tom from Dungarvan made the journey to meet all the Irish craft beer fans. We tasted the Dungarvan 3 - Blonde, red and stout along with The Cathedral Quarter from Hilden, O'Hara's Curim, the Clotworthy Dobbin by Whitewater and Celebration Ale and An Brain Blasta by the Porterhouse. The Dungarvan trio were a massive success but all beers on tasting proved to be individual, interesting and something to feel patriotically proud. If you're in search of strange and unusual, The Celebration Ale by the Porterhouse is worth a try. This tastes very similar to the unsweetened liquorice from Health shops. At 7% and quite viscous, this coats your mouth almost like a cough mixture. As much as this would be a little too serious for me, I can see the appeal. The Clotworthy and An Brain- Blasta are as good as they were on previous tastings. The Cathedral Quarter, not a fully fledged Red. Fresh red berry fruit and really easy to consume. Labels: Irish Craft Beer synopsis.